Firefighters hit the streets in North Beverly collecting for the annual Fill the Boot drive for the Muscular Dystrophy Association. The Saturday morning brought out wonderful people as well as wonderful weather. <?xml:namespace prefix = o ns = "urn:schemas-microsoft-com:office:office" />�The guys were non stop,� said Firefighter Mike Halloran, who organized the event, �we were able to pull in quite a lot of money from some very generous people� he continued. Firefighters sworn in, promoted on day after tragic loss. At 0615 on Thursday morning, flags at fire stations across the city and at the Firemen�s Relief Memorial were lowered to half-staff. What was to be a day of celebration for two individuals beginning their career with the Beverly Fire Department and two others being promoted to Lieutenant, turned into a day of mourning and a grim reminder of the hazards associated with the profession we have chosen. �As we welcome our new recruits, we are reminded that this is a dangerous profession� said Chief Pierce. The ceremony that would normally have begun with introductions and a round of applause was instead opened by a moment of silence. Firefighter David Genest and Firefighter Brad Saunders were sworn in as the newest firefighters of the Department. Genest was sworn in after many years of trying to get on the Department. Saunders came from a firefighting background after spending several years with the Wenham Fire Department and additional time with the Derry New Hampshire Fire Department. Lieutenants Bill Fiore and Artie Fitzpatrick were sworn into their newly assigned posts as Officers. Fiore, a 25 year veteran of the Department, has worked as Fire Inspector for the last 4 years. Fitzpatrick, is a bright young officer with five years as a firefighter. All were sworn in to their positions with family and friends in their presence. Deck Fire at 84 Cabot St.
At 1137, the Beverly Fire Department responded to a report of a fire on the deck at 84 Cabot St. Chief Pierce arrived first to fin smoke and fire on a second floor deck over an apartment to the rear of the building. Crews quickly knocked the fire down with a fire extinguisher and stretched a fire hose to fully extinguish the smoldering embers beneath the deck. While Engine 1 crew was dousing the fire, Engine 5 led by Lt. Arthur Fitzpatrick checked for fire extension in the apartment below. Using thermal imaging cameras and axes, it was determined that the fire was confined to the railing, decking and roof structure above the apartment and there was no further extension to any of the fifteen apartments in the structure. Fire Investigator Robert Bergeron determined the fire to have been accidentally caused by careless disposal of smoking materials. The building inspector was called to the scene to investigate some minor concerns as a result of the fire. No tenants were displaced. Damage is estimated at $10,000. The Union Club was evacuated for a short time after the second floor began filling up with smoke. Crews from Engines 1 and 5 searched the building for a source before finding a burnt out transformer in an HVAC unit on the roof. The unit was shut down and the manager was notified to call for a repair. Engine 5 responded to a report of a dumpster Fire at the Ayers Elementary school. Upon arrival, Lt. Don Philpot and his crew found a dumpster fully involved away from the building. The crew used a hoseline and 450 gallons of water to extinguish the fire. Lt. Arthur Fitzpatrick and his crew responded to the area of the Centerville School for a report of a brush fire at 1445. Upon arrival the crew found an area of brush on fire about 300 feet into the woods at Bald Hill to the right of the school. It took 11/2 hours to fully extinguish the fire using 300 gallons of water. The fire was caused by a camp fire that was not fully extinguished. Engine 5 was dispatched to the North Beverly Plaza on Dodge St for a report of a car fire at 1816. Upon arrival, they found a fire fully involving the engine compartment of a vehicle in front of the National Bank. Lt. Fitzpatrick and his crew used 250 gallons of water to extinguish the fire. The operator of the vehicle stated she experienced a mechanical problem before the fire began. The Beverly Fire Department put new radios in service Monday that will enhance firefighters safety and communication abilities. The new radios were purchased at a cost of $87,770 through a Federal Grant program that is designed to get necessary funds to the local level Fire Departments. They are replacing older technology radios that were becoming increasingly difficult, and expensive, to maintain. One of the benefits of the new radio is the ability to store several additional radio frequencies in order to allow firefighters to communicate with crews from other cities and towns. 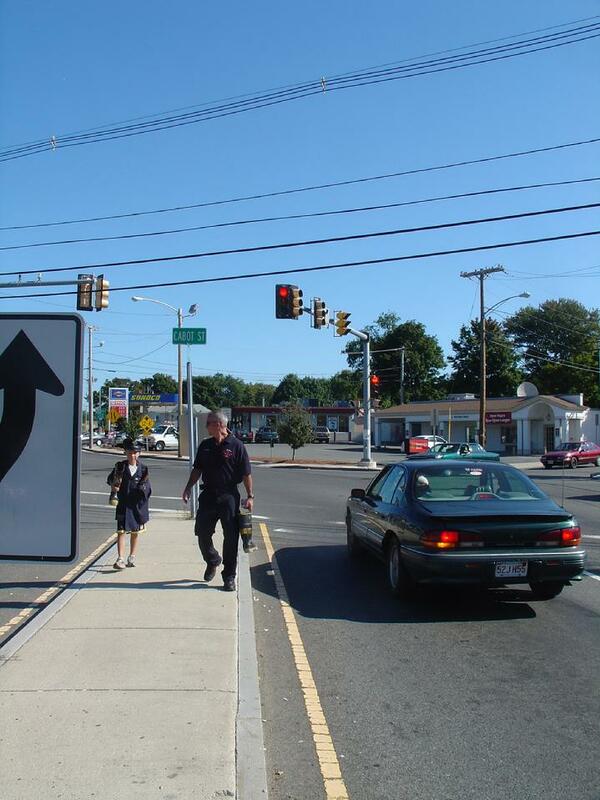 Beverly firefighters respond to emergencies in other communities all the time. Without the ability to communicate with those other departments, the operations on scene can be strained and firefighters can be put in jeopardy. The ability to store the radio frequencies in the portable radios will enable Beverly Firefighters to get onto fire ground frequencies wherever we might go to work. Another benefit is that the new radios are built to protect firefighters that might find themselves operating in environments with dangerous levels of flammable gases or liquids. The New radios are Intrinsically safe meaning that the surrounding environment is protected from the electricity the radios use to operate. Without that protection, the radios themselves can be an ignition source in a hazardous environment causing flash fires or explosions. The radios were purchased through the Assistance to Firefighters Grant. The money provided by the grant will also be used to purchase new underwater communications masks for the Beverly Fire Department Dive Team. The masks will enable rescue divers to be in constant communication with surface support personnel and fellow divers. The full-face mask will also provide a barrier from potential hazardous materials in the water.